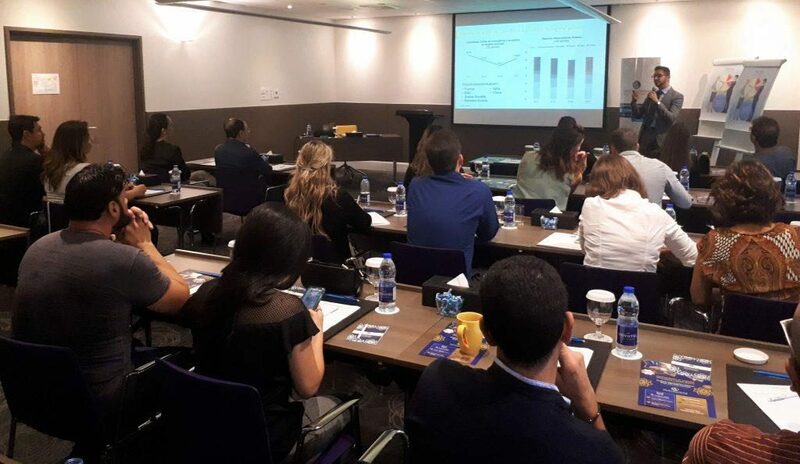 Dubai — The Arab Brazilian Chamber of Commerce held two lectures in Dubai, UAE, recently suggesting ways for Brazilian companies to enter the Arab cosmetics and beauty market. The presentations received Brazilian entrepreneurs that are going to participate in the Beautyworld Middle East, a beauty trade show running from April 15 to 17 in Dubai. The lectures were given by the Arab Brazilian Chamber head of international offices Rafael Solimeo and the Lebanese entrepreneur Joelle Khoury, sales and marketing director of Etisalat , from Dubai. The first speech was about opportunities and the market dynamism in this region. “The UAE is one of the largest cosmetic importers and also one of largest cosmetic exporters for the region, which means Arabs have this trade deep inside their bones. There are a lot of growth opportunities among the 22 Arab countries and we should look at that and try to tap on that,” Solimeo revealed about countries such as Sudan, whose importing potential has grown over the last years. Another point mentioned were the good practices to make business contact with the Arabs. “To deal with Arabs, you should captivate and win their confidence. And the Brazilians must first understand the Arab culture and respect it in order to do that,” pointed out Solimeo, who also talked about business opportunities. For him, organic products and the halal concept, which are considered by many as only food-related, are trends for cosmetics too. The halal market comprises products made according to the Islamic rules. Etisalat Facilities Management’s sales and marketing director’s speech reinforced these trends. “Here, in the UAE, girls start self-caring since an early age, and the mothers are watching that. That is why the organic market has grown. Halal is also very important to us, as well as waterproof products, since we wash our faces after praying five times a day and nobody wants a blurred mascara,” Khoury explained about how local customs and culture guide the beauty market in the region. Also on Sunday, the Arab Brazilian Chamber held B2B sessions with Brazilian entrepreneurs. The companies that participated in it will be at show Beautyworld Middle East in spaces supported by the Arab Brazilian Chamber of Commerce and the Brazilian National Confederation of Industry ( CNI , acronym in Portuguese), led by the Federation of Industries of the State of Goiás (FIEG, acronym in Portuguese), and Brazilian Export and Investment Promotion Agency (APEX-Brasil, acronym in Portuguese). Besides them, other Brazilian companies will be at the show in single and collective spaces.